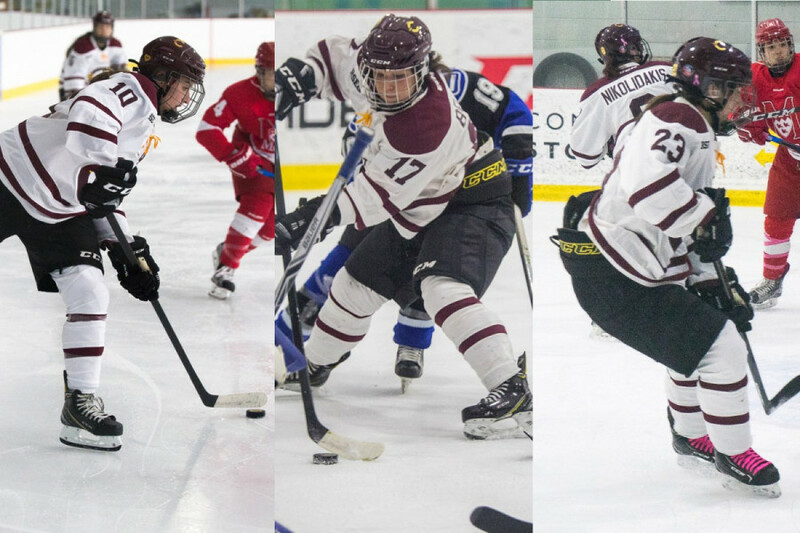 Four Stingers women’s hockey players took home Réseau du sport étudiant du Québec all-stars honours. Defender and team captain Marie-Joëlle Allard was named to the first team while Claudia Dubois, and Audrey Belzile were named to the second. Dubois and Belzile were amongst the league’s five most productive players. Forward Lidia Fillion was named the rookie of the year and is on league’s the all-rookie team. With 20 points, seven goals, and 13 assists, Dubois ranked third in the RSEQ for points. According to head coach Julie Chu, Dubois was a good player out of CEGEP and has improved exponentially since arriving at Concordia. Related: Lidia Fillion is the RSEQ Rookie of the Year. “Last year I used to be afraid to play against other teams, but this year my mentality is more that they are afraid to play against us,” said Belzile, showing the attitude that Chu described. “This is a mentality that I want to bring into my third year, fourth year, fifth year. Be the team that other teams are afraid of,” she added. When Allard joined the program five years ago, she felt that the program was lackluster and finished her first season with only two points. Now, in her graduating year, she reached ten points along with her all-stars honour. All three girls are pleased with their honours, but can all agree that it reflects more on the team than it does on them as individuals. Related: Stingers Women’s Hockey Team is Going to Nationals. “For us all-star honours are always interesting because even though it’s an individual award, we really believe that it’s a team effort that allows individuals to excel and it’s really a compliment to our team as a whole,” said Chu. 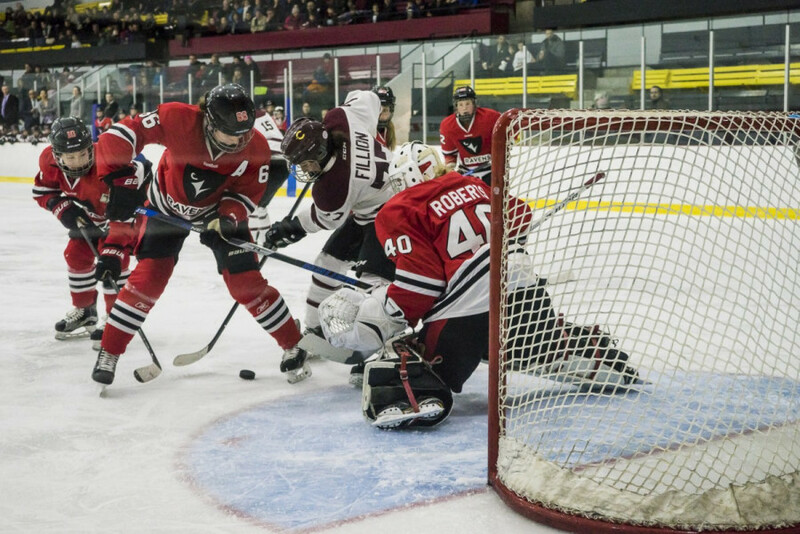 The Stingers played their best season since their 1998-99 campaign, winning the RSEQ championship with a 14-4 record in the regular season and a 4-2 record in the postseason. The team is heading to their second U Sports National Championship in two years as fourth seed, where they will take on the St. Francis Xavier University X-Women in the quarterfinals in London, Ontario on March 16.